PCS brand and in Malaysia under PWB Services. Message from Peter Slator, CEO The end of 2018 saw OCS reach an inflection point. We reached the end of what has been a demanding but successful turnaround for our business over the past three years. In the year, there was on an underlying basis revenue growth of four per cent, a return to making a profit before tax, and a small but positive free cash flow before investing for growth. Significantly, our business is debt free and we have choices of where to invest for the future. We continued to divest of businesses where we lacked scale or the resources to be able to deliver value for our shareholders. With the business stabilised, we can now move the focus of our strategy to sustainable, profitable growth. In the last 12 months, our UK business continued to improve its underlying profitability. This turnaround is all the more significant because it is being achieved in a challenging market environment where Carillion went into receivership, Interserve was in significant financial difficulty and Mitie managed its own restructuring programme to improve profitability. for rapid growth in this sector. notably in healthcare in the UAE. we open more centres in 2019.
is an attractive and priority market. to our customers day in, day out! costs driven by legislative changes. in and develop them in 2019.
faster than any of our competitors. profitability over the prior year. we can grow and win into the future. 2018 marked a turning point for OCS. forward to a year of growth. joined the board in January 2019. Our international business From getting passengers to their flights on time at the worldâ&#x20AC;&#x2122;s busiest airports, to keeping lights on in offices large and small, we provide the essential services that keep businesses and societies running day in, day out. built King’s College Hospital, Dubai. and 10,000 inpatients each year. service delivery in the Middle East. security, catering and cleaning. These are delivered 24 hours a day, 365 days a year, across England and Wales. The contract is vast and varied, crossing six different government departments. Buildings range from premises with two or three people to highly populated ones, such as the MOJ’s headquarters and the QEII Conference Centre in Westminster – each with their own mixture of services. “It’s a diverse portfolio. The fact that we mobilised in such a short period of time, and so successfully, has given our customer confidence in our delivery and we go from strength to strength.” The four phases of contract start-up were managed from a central project management office over a nine-week period. Ensuring the customer’s business continued to function seamlessly, while mobilising services to 450 buildings, encompassing new colleagues from 11 incumbent organisations and seven of our customers’ customers, was no mean feat. As part of the contract, OCS developed a new integration platform to connect to the MoJâ&#x20AC;&#x2122;s CAFM (computer-aided facilities management) system, adopting a collaborative approach with the customer to enable us to deliver to a tight deadline. This cutting-edge technology enables real-time automated data transfer between disparate systems through an enterprise cloud messaging service, improving reporting and scheduling. Developed in just 12 weeks, the application led to OCS being nominated in the Innovation in Technology category at the i-FM Technology in FM awards. The technology is now delivering a number of benefits across the contract and opening up new opportunities. expansion plans for the next three years. led us to develop our new design concept: zoning. TIMES) FACILITY MANAGEMENT AWARDS 2018 IN FEBRUARY, TAKING HOME FOUR AWARDS, INCLUDING FACILITY MANAGEMENT SERVICE PROVIDER OF THE YEAR. The event, which was held in Mumbai and attended by visitors from over 130 countries, recognises best practice, outstanding performance and innovation within the sector. OCS dominated the proceedings, also taking home awards for Brand of the Year – Facility Management, Excellence in Facility Management – Residential, and Excellence in Facility Management – Commercial. “When PCS was established 50 years ago, the country was at the start of its journey to become what is widely considered today to be Southeast Asia’s secondlargest economy. years, with the country seeing its fair share of upheaval. Despite this, PCS has expanded from cleaning and security, into engineering and Healthcare food catering. “Our 20,000 customers worldwide rely on us not only for the essential day-to-day services that we provide, but also to keep their data safe. provides reassurance for our existing customers and those considering working with us. “Providing the best possible service to passengers with disabilities and reduced mobility is of the utmost importance for Cork Airport. Herbert (pictured), who has worked as a cleaner at OCS for two years. communicate with passengers whose first language is not English. FOUNDATIONS FOR A CONNECTED HEALTHCARE BUSINESS, AND IN NOVEMBER, OUR INTERNATIONAL HEALTHCARE EXPERTS GATHERED IN DUBAI FOR OUR FIRST HEALTHCARE SUMMIT. With ageing and growing populations putting pressure on public and private healthcare organisations, the Centre of Excellence’s strategy aims to leverage our expertise in everything from aged care in Australia and New Zealand, to clinical engineering in the Middle East. It will drive best practice through our healthcare country leaders, who are now better connected and better informed to help our healthcare customers deliver uninterrupted clinical excellence and an enhanced patient experience. “By the end of 2018, we achieved an international connected team of 16,000 colleagues. 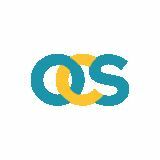 We have a defined healthcare strategy to drive the business forward, and we have created a unique identity for OCS Healthcare that reflects our customers’ need for care, empathy and compassion. Our extraordinary people OCS is a people business. From our operatives on the front line to our industry experts, our colleagues are essential to our success. We are proud to celebrate our colleagues and the contribution they make to OCS. our core values at the heart of their day-to-day roles. its new intranet platform in July 2018. On 13 February, we recognised 400 PCS colleagues when Richard Potter, Director of International Trade at the British Embassy of Thailand, presided over PCS’s Long Service Awards. Recipients were presented with certificates and gold awards at the event, which was attended by Kitti Nakornchai, Managing Director, PCS Thailand. But our recognition schemes are more than just a day in the calendar. In Australia and New Zealand, we show our appreciation to team members through a number of awards, including our regular safety awards. and team-building activities and our commitment to our employees was affirmed when OCS India was recognised as the Best Employer in Facilities Management at this year’s Madhya Pradesh Facilities Management Leadership Awards. by OCS UK for the first time last year. countryâ&#x20AC;&#x2122;s 1,000 cleaners as possible. the flowerbeds at a customer site. to protect members of the public. he returned £3,500 to its owner. was choking on a piece of food. reunite a customer with his dentures. doing extraordinary things, every day. TAYLOR, TO ITS COUNCIL IN 2018. “This is the first time an OCS representative has sat on this key industry board. It provides a great opportunity to increase our knowledge of, and networks within, the aviation sector and other organisations with which BARNZ deals, including Government, regulators, airports, businesses and communities.” And UK Aviation colleague Michael Connolly is a Government-appointed sector champion for disabled issues in air transport. Last year, in recognition of his ongoing work helping charities to improve airports for disabled people, the Regional Training and Standards Manager was presented with a Lifetime Achievement accolade at the Sparkle Sheffield Awards. received over the past five years to 18.
bringing great behaviour to life and enabling the business to focus continuously on areas for improvement. encouraging all colleagues to speak up. conditions and to report all incidents. going above and beyond their duty. colleagues aren’t put in danger. Our social value Our values are at the heart of what we do. We care about the communities in which we work, from the wellbeing of our colleagues and customers, to our impact on the environment, and we are committed to doing the right thing. and ‘Three cheers for OCS!’. In the UK, we help aspiring athletes with our Young Sportsperson Awards. The scheme came of age in 2018 when weightlifter Ellie Pryor was named Young Sportsperson of the Year at our 21st awards ceremony. For the first time, our winners were assigned mentors from the business to support and advise them throughout the year. They join a YSP alumni of more than 200 young athletes, 27 of whom have gone on to win Olympic, Paralympic and World Championship medals for Team GB. social disadvantage in the UK. from Saudi Arabia were washed and dried to restore their appearance. And we don’t just help those communities in which we physically operate. Our CSR work reaches out to those communities where our colleagues have ties. When a dam collapsed in Laos in July last year, causing major flooding, colleagues in Thailand – many of whom are from Laos – fundraised to provide survival bags for those affected, which were distributed by PCS’s recruitment agency in Laos. to limit the impact of our operations on the environment, focusing on singleuse plastic and our carbon footprint. “We are committed to implementing sustainable changes, being realistic about what we can do, working with our suppliers and customers to ensure that improvements are made holistically and will have a long-term positive impact on our plastic use. With record numbers of students disclosing mental health conditions, and self-harming and suicides on the increase, wellbeing is a top priority for our university customers too. We are responding by changing the nature of the security services we provide and equipping our front-line colleagues with the tools to spot students in distress. 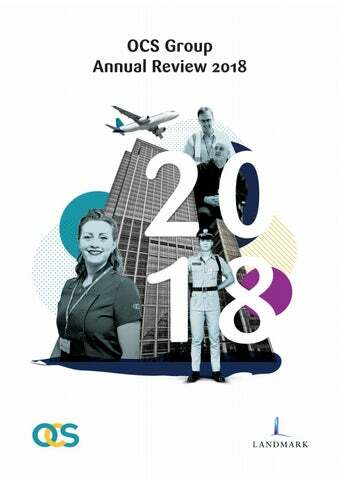 2018 saw the launch of our UK Wellbeing calendar, with topics including work-life balance, loneliness and isolation. We also invested in training through Mental Health First Aid (MHFA) England, developing mental health awareness across the business and giving colleagues the skills to offer appropriate support to someone in need. Our security teams play a vital role in ensuring students are aware of their presence, including paying social calls to halls of residence.Â In most cases, the visit is a courtesy â&#x20AC;&#x201C; a friendly face to make sure students are safe and well. However, colleagues are also on hand to provide wellbeing support and first aid, if required. For first-year students, practical advice on locational awareness and the campus environment is a key component of the support offered. Our security teams are trained to spot students at risk. Key components of our mental health first aid course include developing their ability to understand and recognise factors that can affect mental health and wellbeing; practical skills to spot the triggers and signs of mental health issues; the confidence to step in, reassure and support a person in distress; and the skills to listen to someoneâ&#x20AC;&#x2122;s problems in a nonjudgemental way. Our heritage From the smallest of beginnings, OCS is now an extended family that reaches around the world. As our business has constantly evolved and expanded over the last 12 decades, we have remained true to our values and to our people. does his bit as a special constable. is the origin of our OCS initials today. shaped our business growth ever since. we will celebrate another first by appointing a female MD. Meanwhile, the 1920s see us establish a pattern for the future, with window cleaners extending their expertise into new areas. the bold step of diversifying into construction and factory cleaning. not least loyalty and long service. our investment in Cannon Hygiene and the creation of OCS Group. devastates the family business. And, within two years of its end, the family is mourning their father and grandfather, and the founder of our business. Frederick’s three sons – Gilbert, Tom and George – now take the family business forward as the dramatic growth in office building begins an exciting new era for OCS. aviation, one of our core markets, into turmoil. on investment priorities for the future. deliver outstanding service for our customers. This is the OCS way.